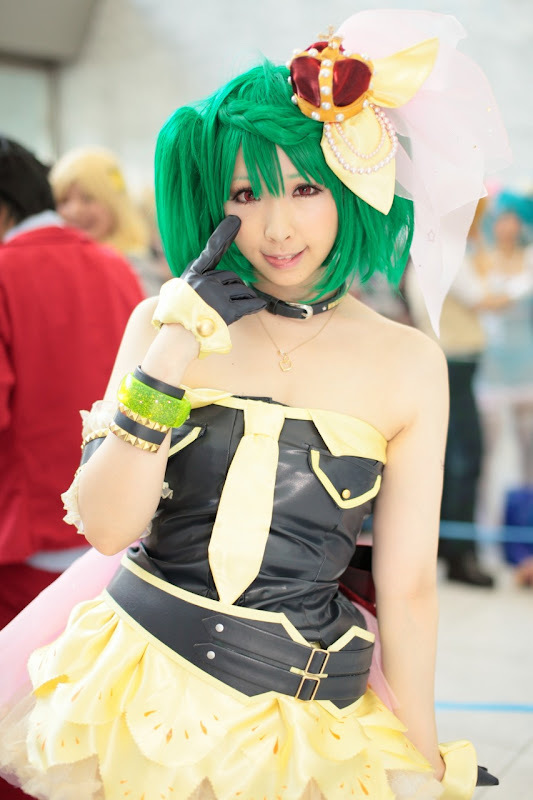 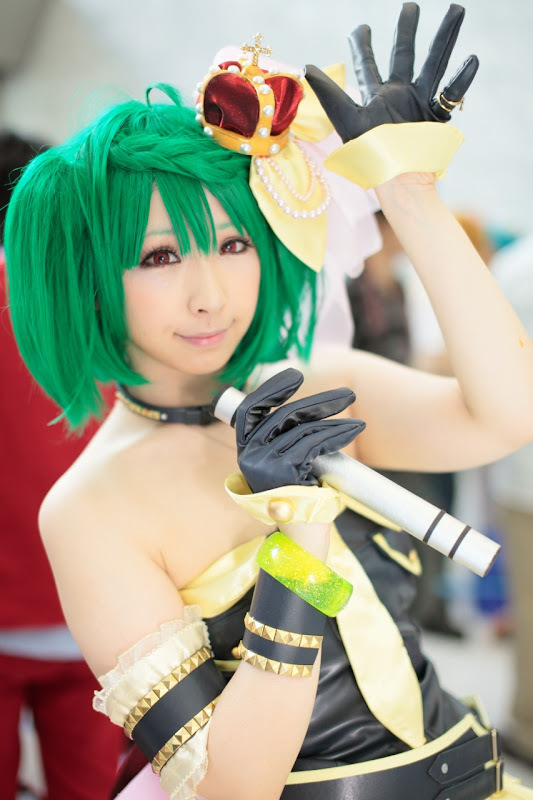 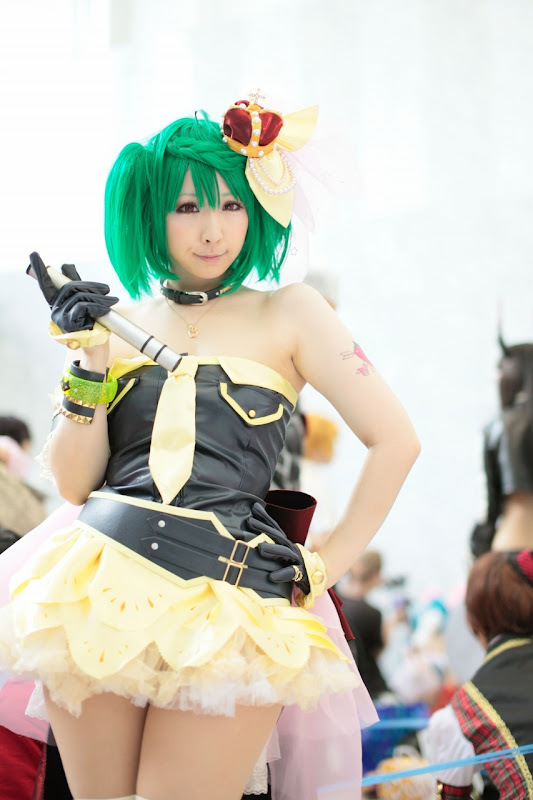 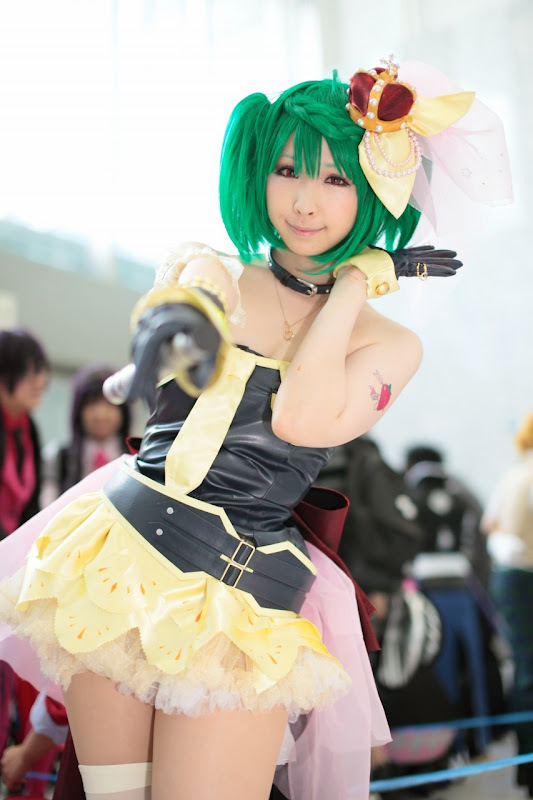 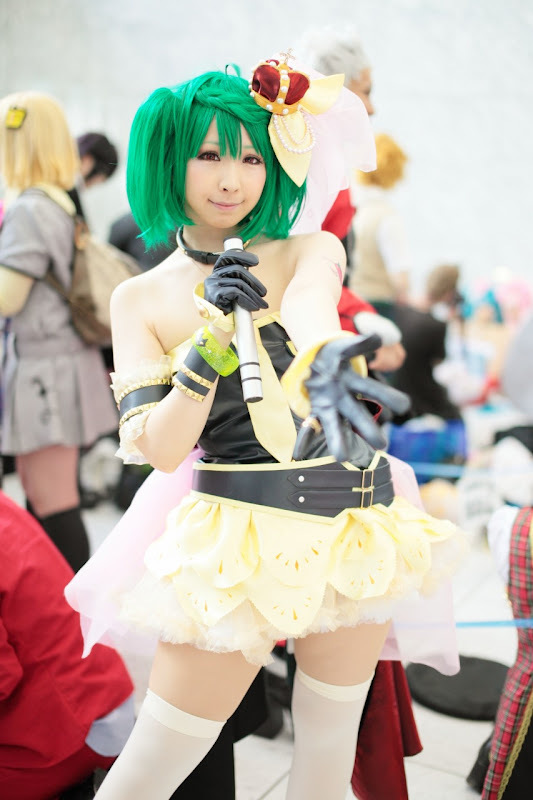 Miiko is cosplaying as Ranka Lee from Macross Frontier: Itsuwari no Utahime. 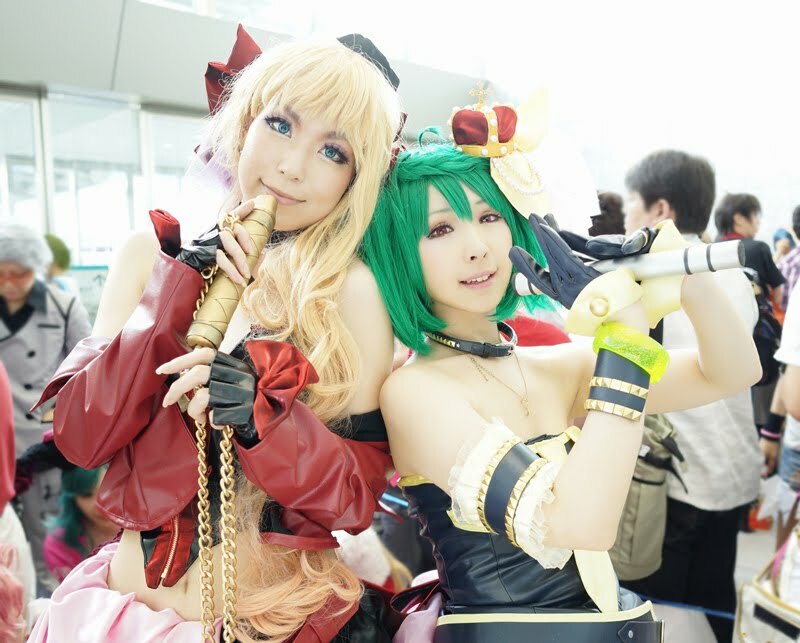 Macross Frontier (マクロスF (フロンティア) Makurosu Furontia) is a Japanese animated science fiction space drama that aired in Japan on MBS from April 3, 2008 to September 25, 2008. 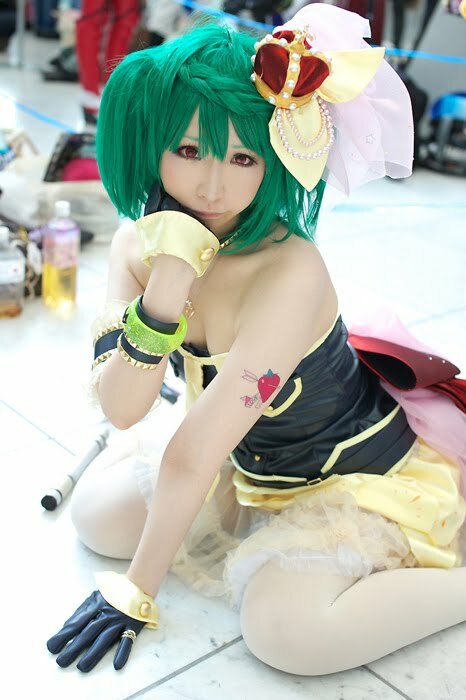 It is the most recent Japanese anime television series set in the Macross universe. 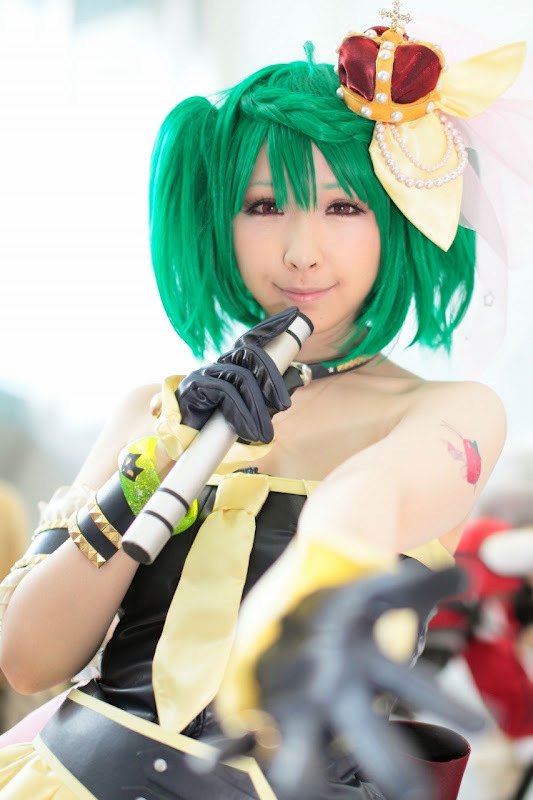 Animated by Satelight, premiered Japan on MBS on April 3, 2008. 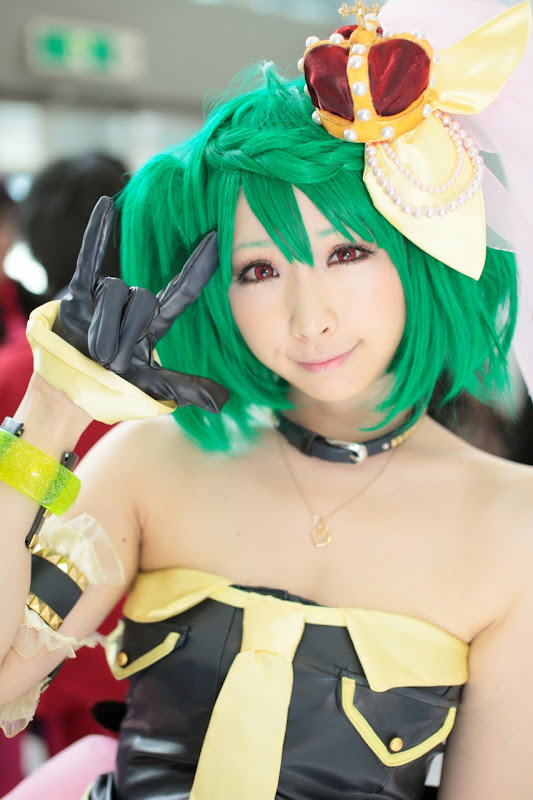 A pre-broadcast airing, called Macross Frontier Deculture Edition or Macross Special Edition (マクロスSP版 Makurosu SP Ban), showcasing a preview version of the first episode was aired on December 23, 2007. 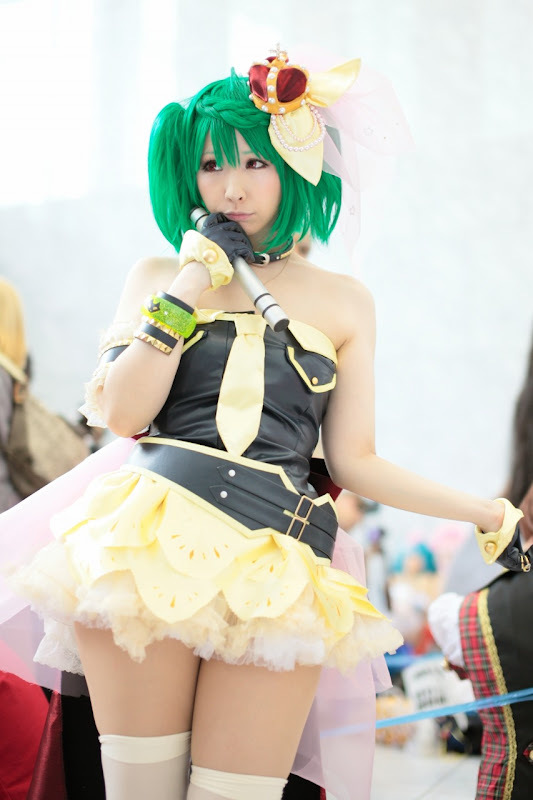 The series also received its satellite television premiere in Japan on Animax on April 7, 2008.